Sage is an evergreen woody-stemmed shrub which grows up to 60 OTIS high. It has greyish green stalked slender leaves, rough in texture. The flowers are purplish blue. The dried herb grey, tinged with green. It has strong spicy aroma and a slightly bitter and astringent taste. It has a centuries-old reputation of exerting a beneficial influence on the brain, nerves, eyes and glands. Gerard testified the effectiveness of the herb for "quickening the senses and memory, strengthening the sinews and restoring health to those suffering from palsies and trembling of limbs".! Sage originated in the Mediterranean countries but is now cultivated in Europe, Canada and the United States. In India its cultivation in gardens has been tried in Jammu for its essential. oil. The plants are reported to have done well and the quality of the oil obtained is comparable to that of foreign origin. Sage contains a volatile oil, resin, tannin and a bitter principle. The oil is composed of camphor, salvene, cineol and pinene. The fresh leaves provide appreciable amounts of vitamin A and C.
Sage has always played a great part in the history of botanic medicine. The Chinese adage 'sage for old age' sums up its healthful qualities. It has a reputation to retard old age, restore energy and aid digestion. In pharmaceutical writings, sage is listed among the natural antiseptics. Sage is considered very useful in failing memory. The! acts on the cortex of the brain thereby eliminating mental exhaustion and improving concentration. Tea prepared from sage leaves is beneficial in coping with stress. It can be prepared by pouring a cup of boiling water over I teaspoon of dried sage leaves with lid on. It should be infused for few minutes before straining and sweetening with honey, if desired. In case of fresh leaves, a tablespoon of chopped sage leaves can be used and tea prepared similarly. Leafy sprigs of sage were among the strewing herbs spread on the floors of old manors, for it was believed to be an antiseptic to gaurd against plague and other infections. 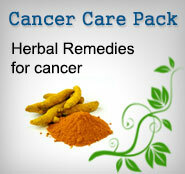 The herb is useful in preventing grey hair if blended in hair tonics. Sage is known for its healing action on the throat and mouth. Gargles and mouthwashes use it as the principal ingredient. Leaves rubbed on the teeth regularly help to keep them sparkling white and strengthen the gums. To treat sore throat, half a litre of boiling water should be poured on a handful of sage leaves. When moderately cool, a litte vinegar and honey should be added. This mixture should be used as a gargle. While gargling, a teaspoon of this mixture can also be taken internally. Sage is one of the most popular herbs used in culinary prepara60ns in the west. 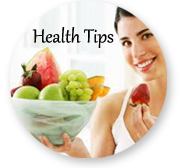 It helps counteract the harmful richness of foods like pork, goose, duck and oily fish. It also combines well with dairy foods, bean and pea soups. Dried and powdered leaves are mixed with cooked vegetables and sprinkled on cheese dishes. Fresh sage leaves are used in salads and sandwiches.